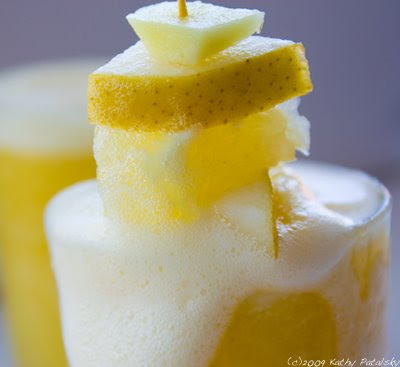 Yellow Fruity Frothy. Banana. Citrus. Ginger. Pear. Froth. Thirsty for a light, hydrating and energy enzyme infused drink? I was. Today I skipped the smoothie and definitely skipped any pre-packaged juice and I made myself a frothy. Frothy Secrets. 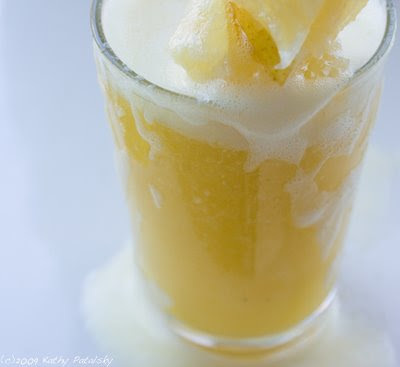 A frothy is not a smoothie and it's not simply juice. It is somewhere in between. First, you choose a healthy blend of juicable ingredients. Juice the ingredients and pour them into a blender. Then here is the fun part. 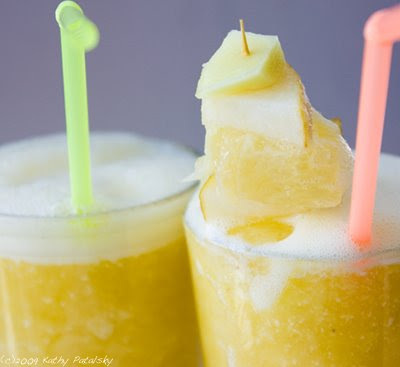 Add in a whole ripe banana (or another sweet mushy fruit like mango or papaya) add a few coconut water ice cubes and blend on low. Instant frothy gratification. 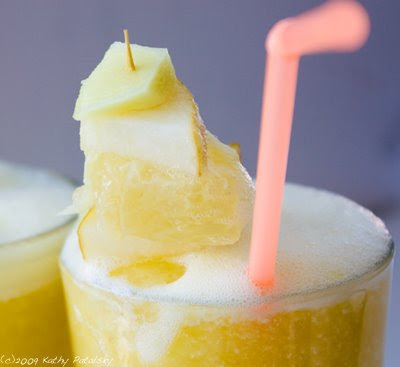 Juice the grapefruit, lemon, ginger, orange and pear. Pour the juice into a blender. 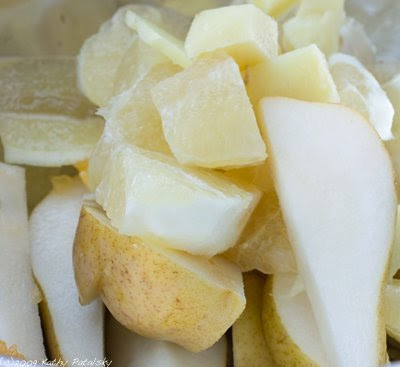 Add in banana and ice cubes. Garnish with fresh fruit and for extra spice add a dash of cayenne. 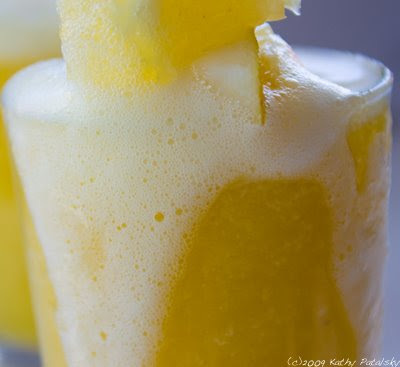 Health benefits and more frothy-licious pics below. 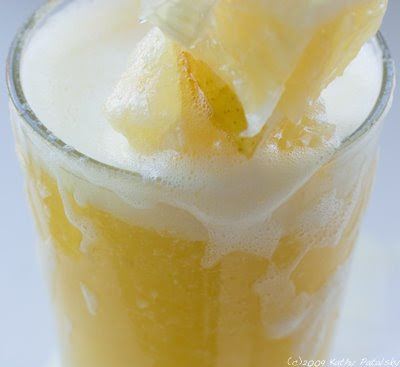 Citrus adds a lot of Vitamin C.
Ginger kick starts your body with it's spicy flavor and warming characteristics. Pear adds an all-natural sweetness for immediate energy boost. Coconut water ice cubes are hydrating and add additional potassium, magnesium, calcium and manganese nutrients. 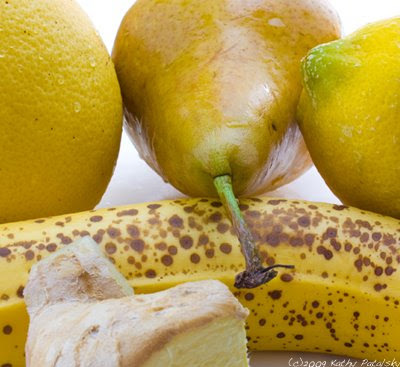 *Plus juicing these foods fresh assures that you are drinking plenty of fresh enzymes and alive and active nutrients. Drink juice right away for the more nutrients.